Chobham RFC is a thriving community club with a strong membership base across Mini, Junior and Senior Rugby, with a strong track record of transitioning junior players to senior rugby.With a First XV currently in London 1 South (level 6) and two other senior sides, as well as occasional Colts and U21 fixtures we have a strong senior rugby section. We wish to recruit a Head Coach of the senior section for the 2019/20 season, with the successful applicant in place before pre-season. 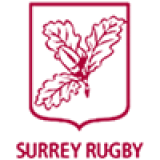 The role is to lead the senior club coaching team, with ultimate responsibility for the First XV. 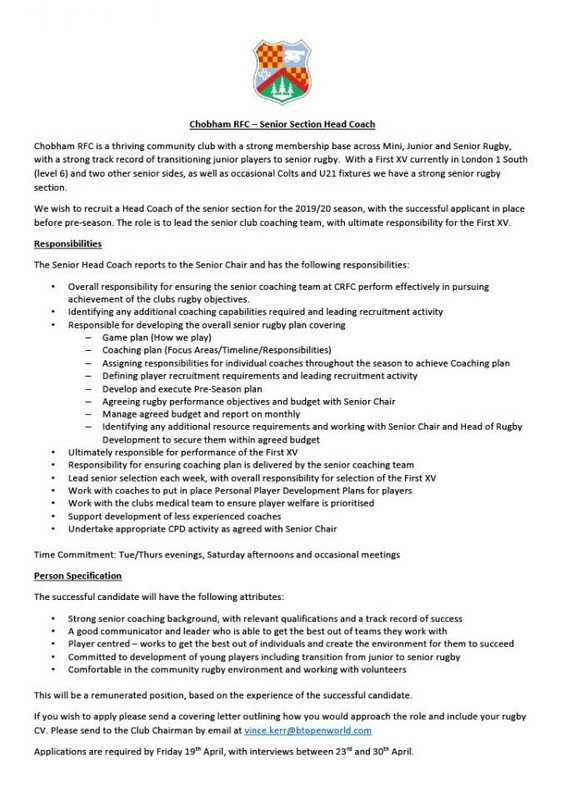 Overall responsibility for ensuring the senior coaching team at CRFC perform effectively in pursuing achievement of the clubs rugby objectives. This will be a remunerated position, based on the experience of the successful candidate. Applications are required by Friday 19th April, with interviews between 23rd and 30th April.